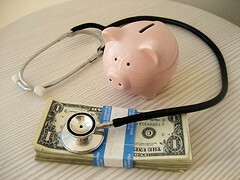 Why is health care fraud one of our focal areas at The Brod Law Firm? We understand that millions of Americans are struggling to pay their medical bills. Health care costs are high for many reasons. Fraud is one of these reasons. We believe that our work as a Sacramento health care fraud law firm allows us to play a role in making health care affordable for all Americans. We also believe this work helps promote the interests of justice, making the perpetrators of fraud pay and rewarding people who bravely come forward when they witness fraudulent acts. Doctors take an oath promising to “do no harm,” an oath that is violated when doctors commit health care fraud. Last month, the Sacramento Business Journal reported on the sentencing of a California physician who took part in a “vast conspiracy of Medicare fraud.” The Sacramento federal court sentenced Dr. Emilio Louis Cruz, III to three years and two months in prison for his part in a Medicare fraud scheme that involved bogus clinics in Carmichael, Richmond, and Sacramento. He was also ordered to pay restitution in the amount of $601,581. Cruz previously pled guilty to fraud charges for his role in the Medicare fraud scheme. Along with his co-defendants, the 61 year-old Yale-educated neurologist owned and operated the three clinics from February 2006 through August 2008. The group recruited doctors to submit bills for care despite the fact that most of the doctors never set foot in the clinics. Cruz helped establish a bank account and Medicare number for the Carmichael clinic and submitted hundreds of claims to Medicare from that office alone. He was actually living in North Dakota at the time and never actually treated a single patient at the office. Patients, most of whom were elderly and non-English speaking, were given $100 to visit the clinics and take part in the scheme. Medical charts reflected extensive exams and diagnostic tests, although few of the services were actually provided. Employees often used preprinted templates to complete charts which were then sent to the recruited doctors to sign, suggesting they provided or approved the billed care. In some cases, the conspirators billed Medicare for dozens of never-provided procedures for each patient. Across the three clinics, according to U.S. attorneys, the partners in the scheme submitted over $5 million in fraudulent Medicare claims. Already sentenced in connection with the scheme, Dr. Ramanathan Prakash (involved with the Sacramento clinic), Dr. Alexander Popov (involved with the Sacramento clinic), and Dr. Lana LeChabrier (involved with the Richmond clinic) were found guilty of the healthcare fraud conspiracy by a jury in July 2011. They are serving sentences of 10 years, 8 years and 1 month, and 6 and a half years respectively. Another co-owner of the Richmond clinic, Migran Petrosyan, a self-titled life coach, was sentenced to 27 months prison time in December 2013. Six others have pled guilty in association with the scheme. Witnesses to health care fraud have the opportunity to make a true difference. A brief overview of the most common forms of health care fraud can be found on the National Health Care Anti-Fraud Association website. Our California health care fraud lawyer is available to speak with you and help you understand how you can help bring a claim against the perpetrators of fraud, a claim that can have individual benefits for the whistleblower in the form of financial rewards and much broader societal benefits to our health care system and every consumer of medical care.